TrackMan is a brilliant tool to use in any coaching session irrespective of what level you currently play at. Basing decisions on factual information helps to identify any problem areas faster and helps us get to the solution quicker! TrackMan measures your club and ball data with phenomenal accuracy and has become the preferred club and ball radar system for countless touring professionals and their coaches around the world. In a standard TrackMan lesson we will use TrackMan and Video Analysis to build a clear picture of your game, uncovering any problem areas and developing strategies to move your game forward. At the end of the session you will receive an emailed report containing all the data from the session and the suggested ways to move forward. Ever thought about gaining 20 yards without having to swing any harder or faster or have to buy an expensive new club? Well, it’s all quite possible by optimising the launch conditions of your driver. We will analyse your club data to look for areas that are holding you back with regards to maximising distance, we can then make adjustments designed to increase your efficiency and yardage! 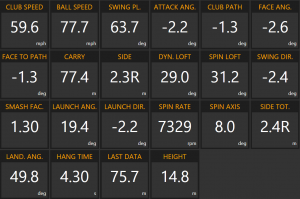 And, yes of course, you can still compare your swing speed to the pros! Using TrackMan for pitching is a great way to really improve your distance control. We can create tailor made pitching tests that allow us to pin point areas for improvement as well improve spin, trajectory control and strike. This is one of the most overlooked but useful uses of the Trackman system, particularly for those players looking to take their game to the next level. To play your best golf, it is vital to know how far you hit each club. This changes depending on conditions but Trackman’s clever software can provide you with reports for different weather conditions, altitude and ball choice. Knowing how far each club carries in given temperatures is not only great for your confidence but great for your score too! We will spend time working our way through the bag, putting together a table of all your yardages, making sure you are completely satisfied that they represent your game. TrackMan measures club head speed and other parameters that influence ball speed and the resulting distance of your shot. It is then possible to find areas where the power you are generating in your swing is not being transferred efficiently to the ball. TrackMan measures key club data such as swing path and angle of attack at the point of collision. This provides invaluable information that can be used to improve impact and the resultant ball flight. A great feature of the TrackMan software is the the test centre. This feature allows us to set up tests that will challenge areas of your game that need most improvement. TrackMan will score your accuracy and distance control relative to the target line and distance set. It can also provide you with random yardages within a specified range to enhance your feel – a particularly useful skill for pitching. 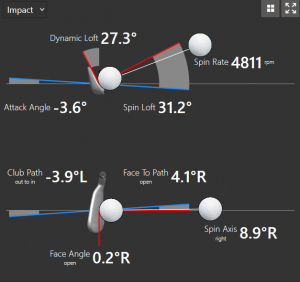 We can use TrackMan to uncover elements of your impact that vary the most from shot to shot. We can also look at areas of your game that are less consistent than others, for example a particular club or yardage that causes you problems. After our session on TrackMan, I can provide you with a summary of key data from the session as well as any notes and recommendations for further analysis and practice. Analyising the club’s direction and plane through impact. 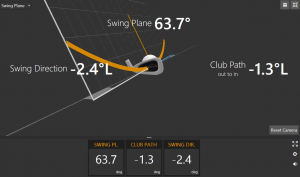 TrackMan provides a detailed graphic of your club at impact. TrackMan tracks every shot using doppler radar. The same technology used for tracking missiles. Over twenty different data sets provide incredibly accurate and invaluable information about impact. Is TrackMan just for good players? The answer is no. 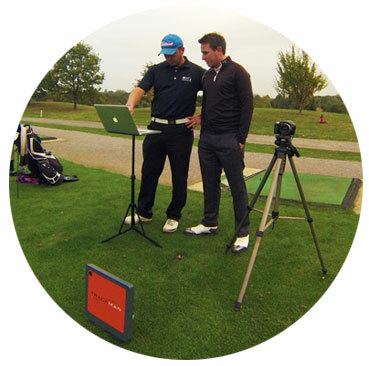 TrackMan can be utilised to help any level of golfer including complete beginners. What does a TrackMan lesson involve? A discussion about your game and any shots that are causing you problems on the course. 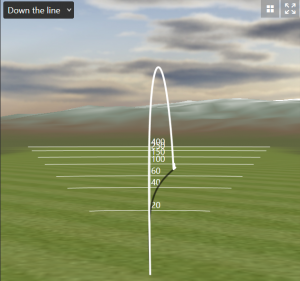 A dozen or so shots hit on TrackMan with a mid iron and driver alongside slow motion video capture. V1 video analysis and a review of your TrackMan numbers. This will allow us to determine areas of your swing that need attention in order to get the desired improvements to your ball flight. Practice drills and feels to give you the right swing adjustment. Verification that the swing changes are producing the desired results by re-videoing and retesting with Trackman. This is often focused on one or two key numbers while keeping a watchful eye on the rest. TrackMan data and or video footage emailed to you after the lesson detailing the changes proposed and any drills or feels prescribed. Reviewing and retesting in the next lesson. Do you do Trackman lesson gift vouchers? Yes – all of my lessons now include TrackMan. If you are looking for a gift idea I can send you a personalised gift voucher or email you a voucher to print. Payment can be made online for convenience. Can’t I get the same information from video? The answer is no. It is almost impossible to determine the angle of attack, swing direction and resultant club path at impact using just a camera. The element’s most responsible for the curvature of your golf shots! What does TrackMan Level 2 Certified mean? Passing the Level 2 Certification requires an in-depth understanding of TrackMan and the ball flight laws. 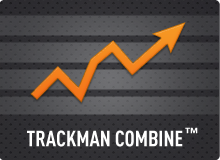 Pit your skills against the best players in the world with the TrackMan Combine Test. This test is seen by many as the premium benchmarking tool for measuring consistency in the long game. 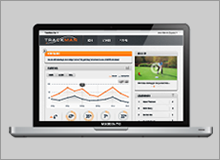 Use Mytrackman.com to view your reports, find tuition videos and learn more about TrackMan.